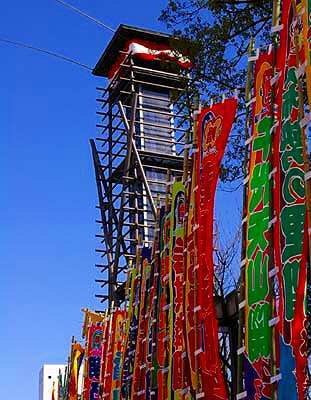 Ryogoku has been considered as a Sumo Town since Tokugawa era. 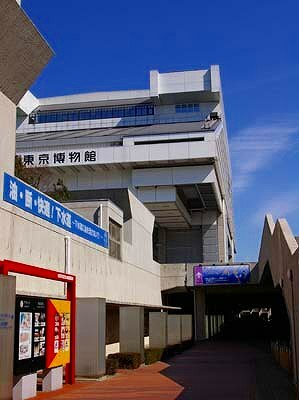 A classic designed Sumo stadium, Kokugikan, is located next to Ryogoku station. Dozens of Sumo stables, Sumo-beya, are dotted here and there around Kokugikan. 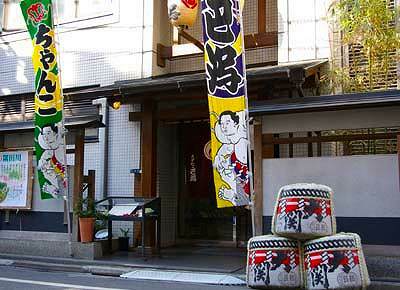 Chanko-nabe restaurants and other facilities relating to Sumo are found in the area. So you can say it the heartland of Sumo world. The name of the area was given after the name of a bridge nearby. After the great fire of Meireki that burned down almost whole city of Edo in 1657, Tokugawa government constructed a bridge over Sumida river. The bridge was named Ryogoku bridge because it was between two countries, Musashi and Shimohusa. Ryogoku means two countries. There is an old Japanese garden and the earthquake memorial in the north, Edo Tokyo museum in the east, Ekoin temple in the south of Kokugikan. The area is full of attractive sites. 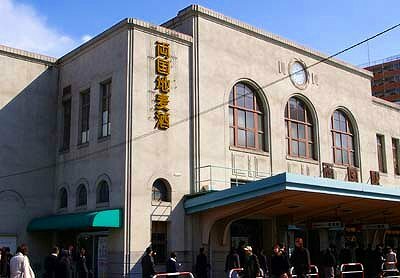 Sumo Stadium, Kokugikan, is located just next to Ryogoku station. 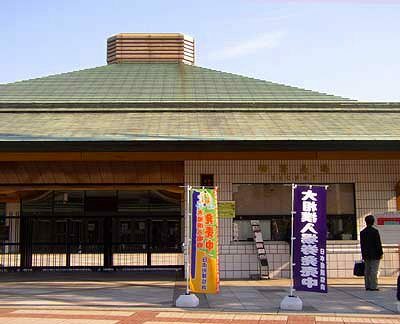 Three of six annual Sumo tournaments are held here (January, May and September). 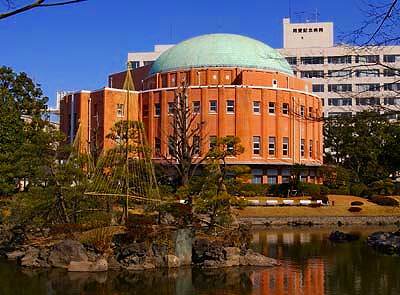 Former Kokugikan at Ryogoku had been standing in the near south until the end of the war. Sumo association built a temporary stadium near Kurame bridge. The current stadium has been in use since 1985. There are many Sumo stables, Sumo-beya, around Ryogoku. Sumo wrestlers, Rikishi, live and train in the stables. Many of them start their Sumo lives at the beginning of teens. 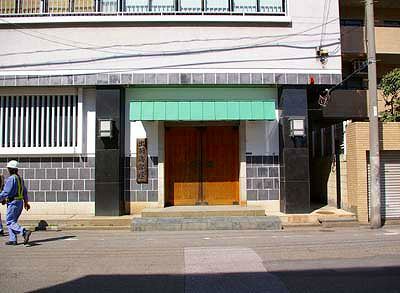 from which many Sumo champions, Yokozuna, came out. 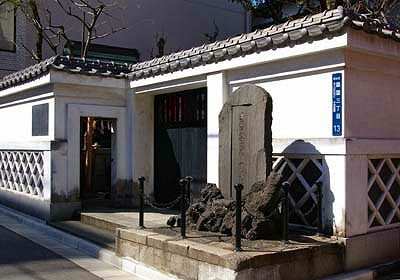 (right) Tatsunami-beya, also one of the oldest stables. (left) Nishonoseki-beya brought up Taiho, one of the strongest Yokozuna ever played. (right) Tokitsukaze-beya was opened by Futabayama who made the great record of 69 straight victories. 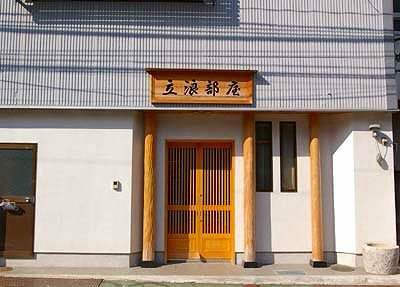 Takasago-beya was the first stable that invited and brought up foreigners as Rikishi. 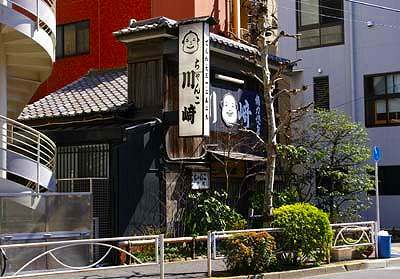 Many Chanko restaurants are run by ex-Sumo wrestlers and their families. Chanko-nabe is a kind of hot pot dish that contains vegetables, seafood and meat. In the Sumo stables, lower ranked Rikishis are imposed to cook the dishes for their upper ranked colleagues. 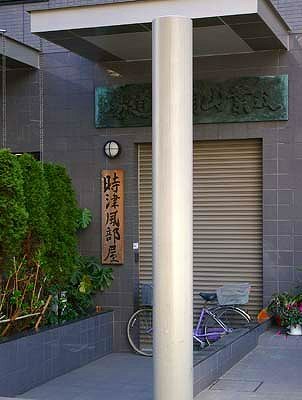 Eco-in temple was founded to be dedicated to the spirits of those who died in the great fire of Meireki. Since then, many people who died in disasters or executed for crimes have been buried here. 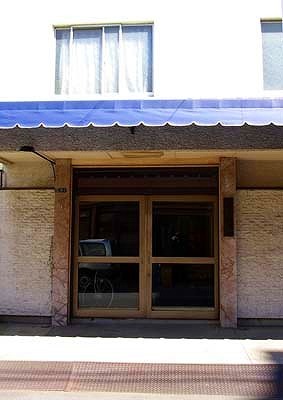 Later, Eco-in became the place where Sumo tournaments were held. 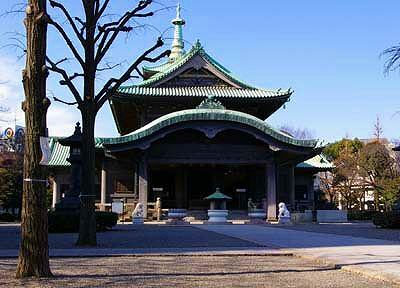 The old Kokugikan had been located next to the temple. 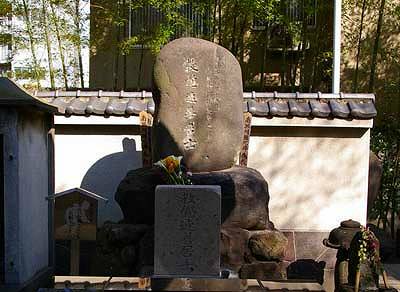 The stone, Chikara-zuka, is dedicated to the spirits of Sumo power. 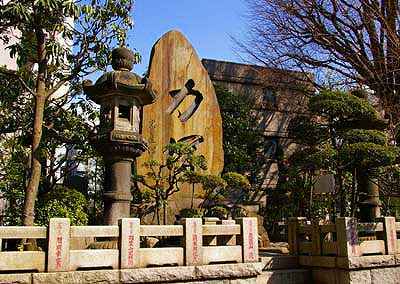 There is a tomb of Nezumi-kozo, Kiddy Rat, the famous burglar in Edo or Japanese Robin Hood. Yasuda teien(left) is a pretty Japanese garden with a tidewater pond. who died in disasters of the great earthquake in 1923. The quake destroyed the greater part of Tokyo by sparking fires that claimed 140000 lives. More than 40000 people were burned to death in the place where the memorial stands. Edo Tokyo Museum is standing up high elevated by enormous pillars behind the Sumo stadium. and featuring virtually every aspect of Edo culture. where the famous drama was played in Genroku ages of Tokugawa era.